Wednesday, June 23 – Walked from Sainte Enimie to La Malene – 14 kms. | Say Mar Say! - C'est Marseille! 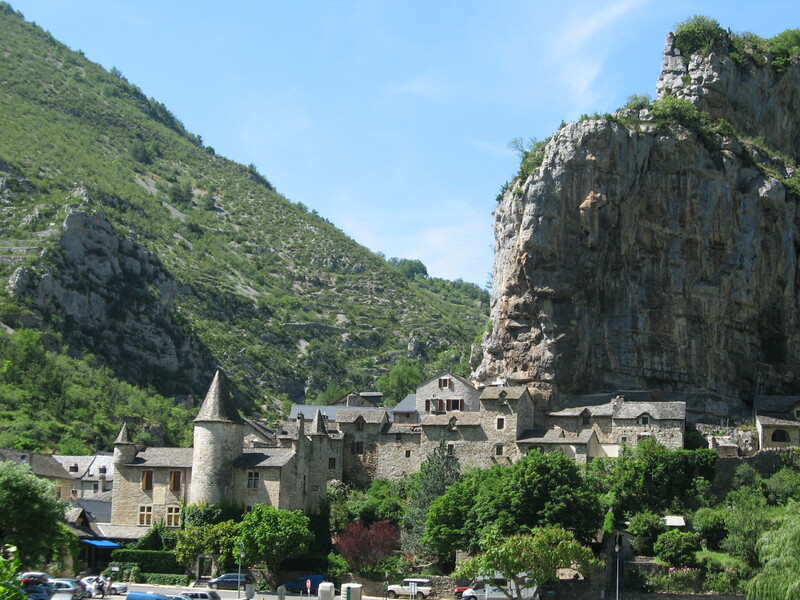 Wednesday, June 23 – Walked from Sainte Enimie to La Malene – 14 kms. Stopped for awhile at St. Chely du Tarn, a very pleasant village with a very nice looking hotel with a piscine (pool) and many gites (holiday cottages). Stayed two nights in La Malene at a chambre d’hote (bed and breakfast) called La Pigeonnier. The owner has only the one chambre (room) with a private terrace above. Very austere, cosy room in the haut (high) village, but not very haut. Stayed an extra night to allow Peggy to lose her sore throat that has persisted, although she has been able to walk OK. (She’s a trooper!) Dined on saucisse (sausage) and aligot (a rich potato and cheese dish) on a terrace of a restaurant on the gorge (river canyon). 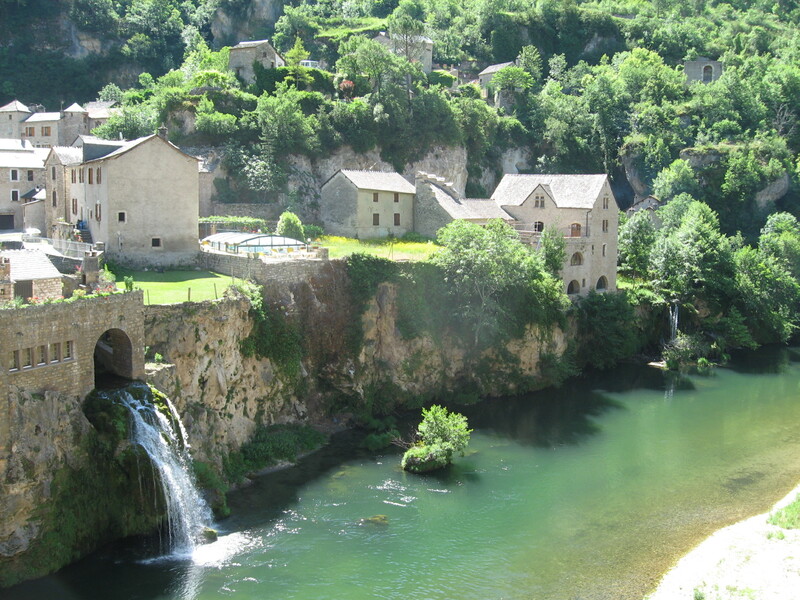 This entry was posted on February 7, 2013 at 10:10 am and is filed under Hiking In France. You can follow any responses to this entry through the RSS 2.0 feed. You can leave a response, or trackback from your own site.